This control cabinet is our newly developed product. Main oil source, control cabinet and computer adopt integrated design. Servo oil source, strong power panel, and computer mainframe are all installed in control cabinet. 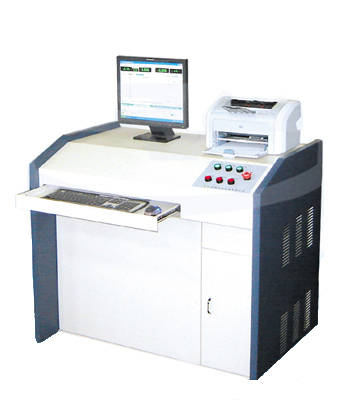 On the control cabinet are monitor and printer. The clamping oil source is installed on the back of main machine, which can ensure system stable, easy to operate with nice appearance. This integrated oil source control cabinet is applicable to different kinds of electro-hydraulic servo universal testing machine from 100KN to 1000KN, all performance indexes can reach or even surpass advanced international standards, the upgrading product for microcomputer control electro-hydraulic servo universal testing machine. Weight of oil source control cabinet: about 300kg.